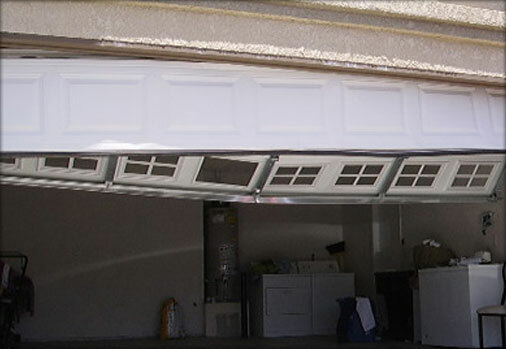 To keep your garage door in good shape, you will need to go in for frequent garage door repairs. At All Garage Door Repair in Aliso Viejo, we provide garage door maintenance and repairs that are one of a kind and designed to satisfy. Our garage door repair services cover just about everything that could go wrong with your door from garage door broken spring repair to garage door dented panel replacement to getting a new garage door if the damage is beyond repair. So you can be sure that by bringing your woes to us, we will have them all addressed efficiently and with ease. Why the Need for Garage Door Repair Aliso Viejo? All Garage Door Repair Aliso Viejo provides customers with garage door repairs as well as installation and maintenance services. When your garage door refuses to function as it should, tampering with it yourself is never a smart idea, particularly if you don’t know what you are doing. This is where we come in. We are the people to call when such situations arise. Instead of getting your hands dirty with the job and risking the possibility of causing greater damage to the entire system, just give us a call and leave it to us to handle it. We will do the job without causing you any inconvenience. The most common problem that people face when it comes to garage doors are issues related to the track or the springs and such issues, if not addressed immediately, will only worsen with time. However, when you avail of our garage door repair services, you can be sure that we will replace any broken or malfunctioning part with quality parts so that everything functions smoothly once more. Our garage door repairs are reasonably priced so you need not hesitate about coming to us when you are in need of repair services. When dealing with such kind of electrical stuff, you need to make sure that you know exactly what you are doing. If you try to fix an issue yourself, you could end up saving yourself money. However, if you don’t do this right, not only could you damage the entire garage door system but you could harm yourself in the process too. This is why, you should contact us to handle all your garage door repair needs for you. When we do a job, we always double check to make sure everything is properly done so that you can always feel safe and secure in your home. Ensuring that the safety retention wires are properly placed is very important and if we are on the job, we will make sure all of these things are taken care of. We also offer regular maintenance checks that you can avail of. By getting your garage door system regularly checked, you will not face too many problems in future. Torsion or Extension Springs are the most important part of your garage door system. However, if not installed properly it can be very dangerous and could even turn fatal. One needs to ensure that these cables are properly connected and that they are firmly in place. If they break, it can cause serious damage to you as well as to your garage door system. This is why we advise you to never try installing these springs yourself. Just give us a call and we will handle the job for you. We have a trained crew that will make sure that these retention wires are properly installed. What’s more, in our regular maintenance routine, we check to make sure that every part of your garage door system is functioning like it should. Having a team that is trained to attend to your every garage door repair need, you can be sure that no matter what problem comes your way, we will have the answer for you. When you choose to avail of our services, you are choosing quality at its best and what’s more, we provide our customers with top-of-the-line garage door repair services at unbeatable rates. Since providing customer satisfaction is at the core of our business, our personnel are always ready to come to your aid and address any and all queries that you may have regarding your garage door repairs, maintenance and more. We have a 45 minutes response time and we offer round the clock services. So you can contact us anytime for your garage repair woes. So if you are looking for emergency garage door repair services in Aliso Viejo and don’t know who to call, this is the best place for you. Contact us at (949) 682 – 3062 and know that you won’t be dissatisfied.